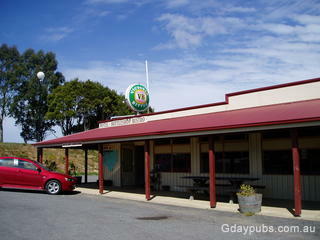 Lavers Hill Roadhouse and Tavern The Roadhouse was established in 1962 and the Tavern in 1999. Information centre, cafe right in the middle of junction. 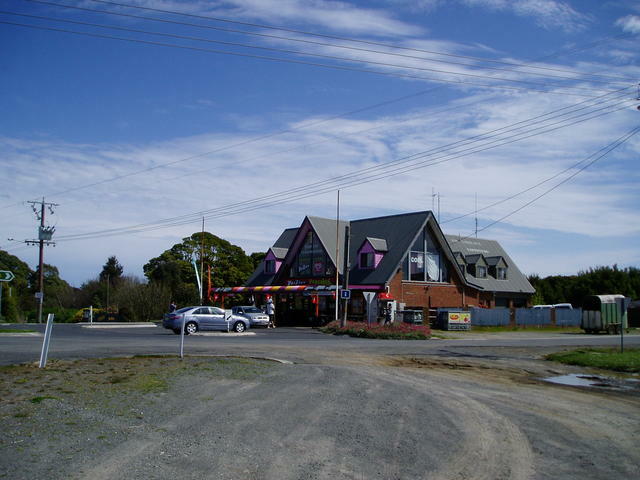 Laver's Hill is midway along the Great Ocean Road (G.O.R. ), and in fact is not near the ocean at this point. The town has fuel supplies at the information centre, cafe right in the middle of junction. Laver's Hill is also close to the Johanna Beach which is a beaut scenic drive just south of the town back along the G.O.R. on the Apollo Bay side, and best visited by entering first along the Blue Johanna Road, exploring, and then exiting back along the Red Johanna Road to the G.O.R. again. The Otway Fly, tree-top walk, and many of the beautiful waterfalls are nearby at Ferguson (approx 12kms north-east).